When you think of Dallas, what comes to mind? Something about guns, trucks, and a J.R. character, right? Push all those visions aside for a moment! While there are still urban cowboys and socialites around, there are so many great things to do in Dallas with kids. A thriving metropolis awaits your family with open arms and a big as Texas smile. 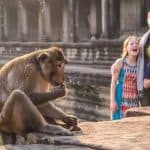 Museums, parks, and shows allow families to fill their vacation days with plenty of fun and relaxation. Dallas has several world-class art museums in the downtown arts district, but these two are particularly accessible to families. 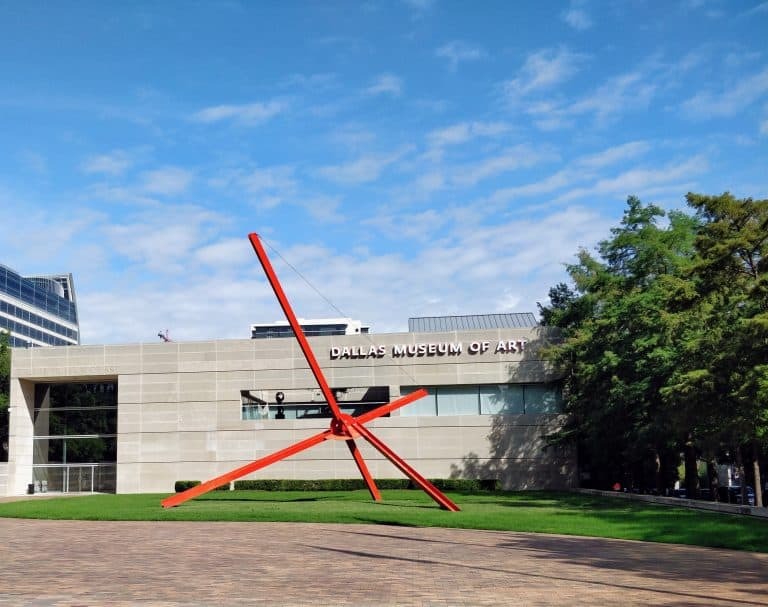 The Nasher Sculpture Center is home to a premier collection of modern sculpture by world famous artists like Picasso, Matisse, and De Kooning. The beautiful, outdoor sculpture garden is perfect for families to explore at a casual pace. Enjoy free admission and a full day of family programming on the first Saturday of every month. At the Dallas Museum of Art, pick your favorite Arturo Family Gallery Guide and let the fun begin! Each guide will lead you through the perfect dose of art for the whole family centered around a particular theme (music, dogs, cats, swimming, or modern mysteries). With free admission, this is the perfect place to introduce your kids to the art of enjoying…well, art. Take advantage of this park’s central location and free activities after a morning in the Dallas Arts District. 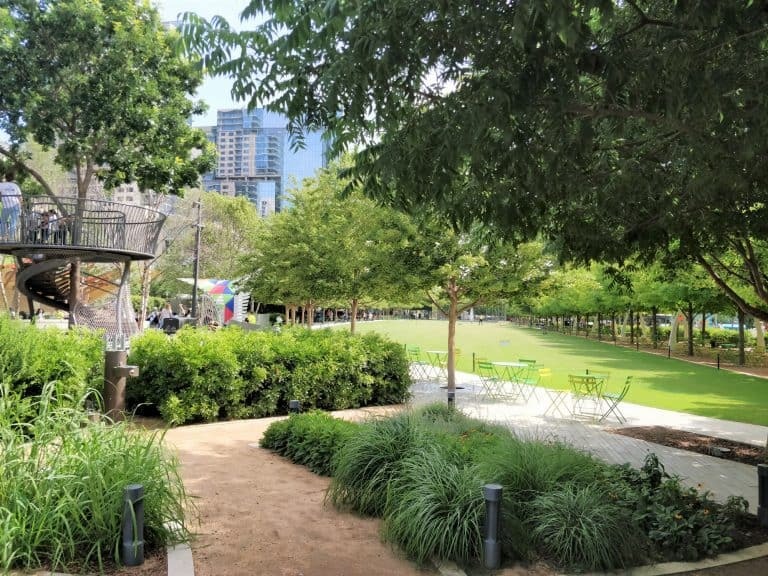 Klyde Warren Park is an urban green space constructed on top of the eight lane highway running through downtown Dallas. Eat at Relish, a counter-service spot with great burgers, or one of several food trucks lining the park. Check out Jenga or ping-pong paddles, catch a science experiment at the Children’s Park Amphitheater, or let the kids play on the playground. It wouldn’t be a proper tour of Dallas without a little horseback riding. Luckily, it’s easy enough to jump in the saddle just south of downtown. River Ranch, a local educational charity, offers trail rides at the Texas Horse Park. The park is over 300 acres in the Trinity Forest. 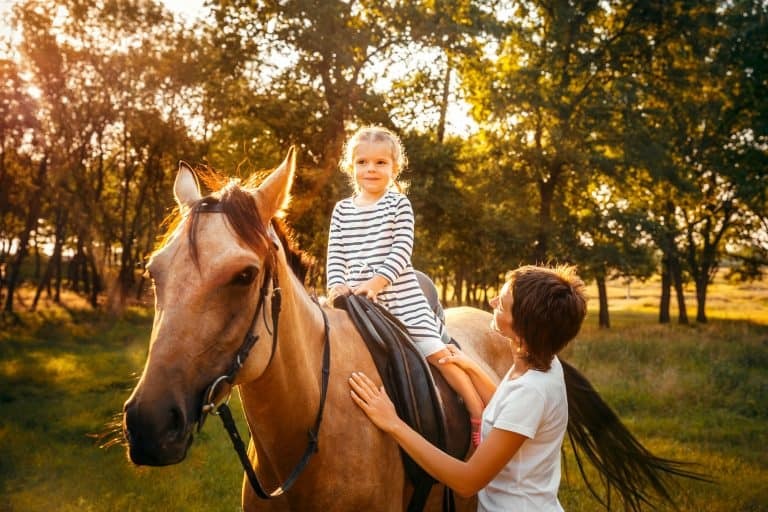 Trail rides are accessible to beginner riders starting at age 9, while pony rides and a petting zoo will delight the younger kids in your crew. 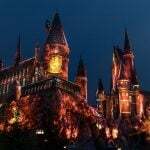 Combine the magic of stories come to life with the comfort of settling into a dark, cool room for a bit, and you get happy, refreshed families every time. 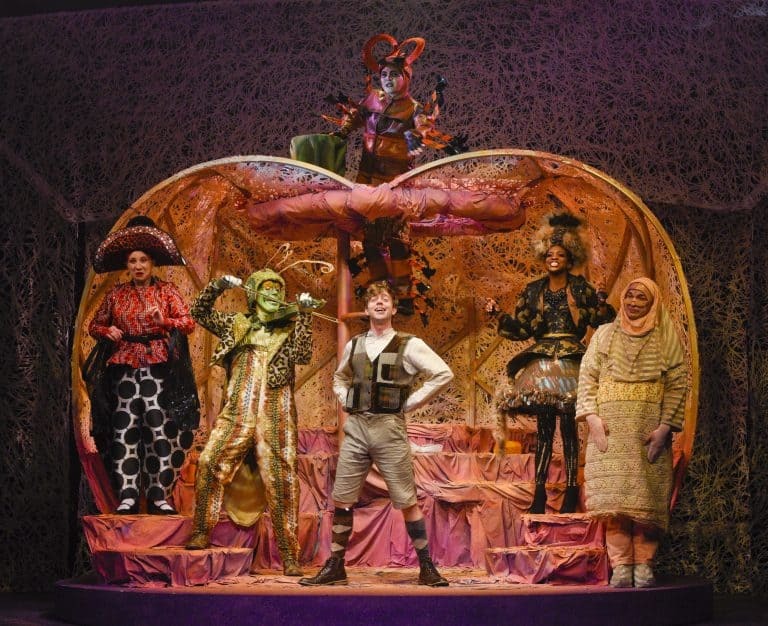 The Dallas Children’s Theater has been producing shows for children and families since 1984. Family-friendly originals and literary classics grace the marquee, all of which are meant to inspire children to embrace their creative gifts. 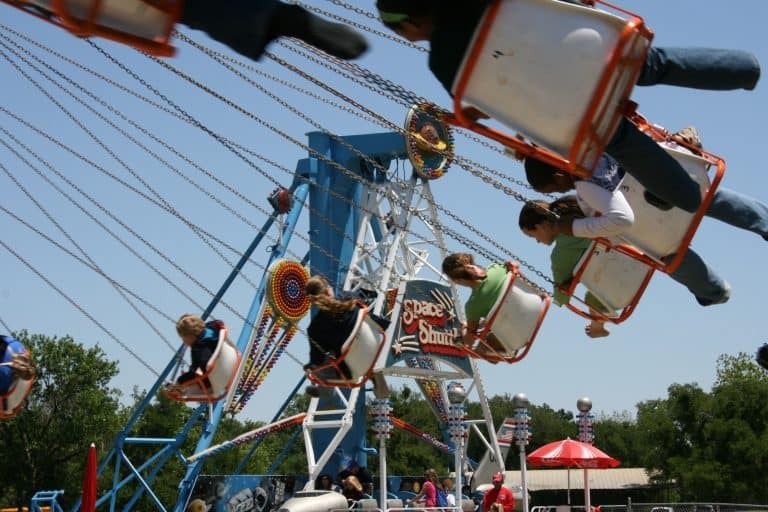 When you need to balance the polish of the downtown scene with some old-fashioned amusement park fun, head up to Sandy Lake Park. Thrill the kids when you set them loose to enjoy classic fairground rides, mini-golf, paddle boats, pony rides, an arcade, and a great big swimming pool. The Dallas Arboretum and Botanical Gardens is a seemingly never ending collection of gardens, water features, enchanting walkways, and hidden corners. Enjoy the quiet pleasure of getting lost in a garden. But don’t worry, there’s plenty to keep the kids busy too! 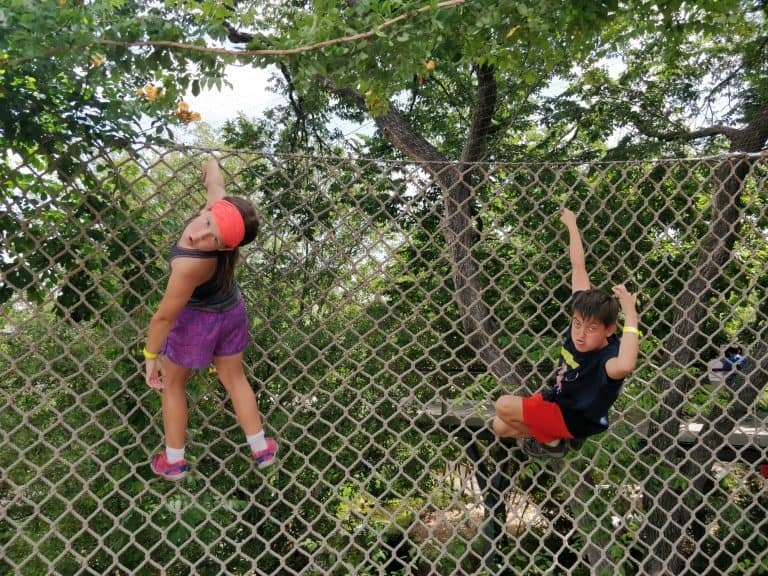 When adventure calls, head to the Rory Meyers Children’s Adventure Garden, where families can explore alternative energy, build your own topiary gardens, stroll the Texas Skywalk, and so much more. Don your crown and holler for your knight in shining armor! 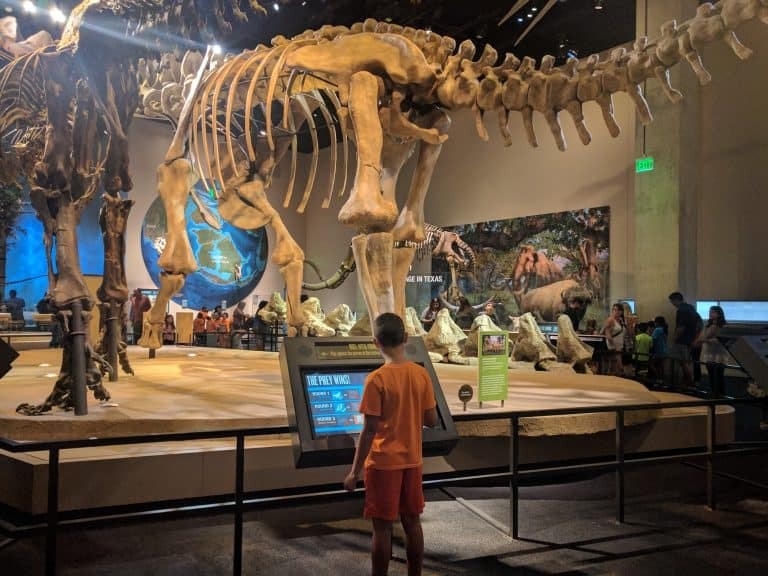 Travel back in time to enjoy one of the calssic things to do in Dallas with kids. 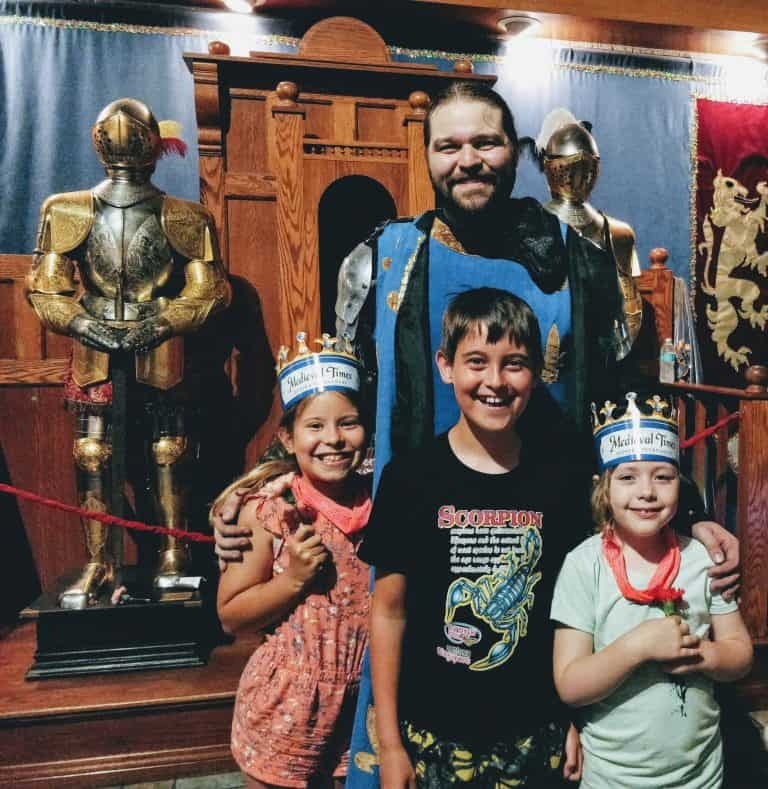 Medieval Times produces an energetic, rowdy (but clean!) dinner show full of fine horsemanship, jousting, and choreographed combat. There isn’t a bad seat in the house – they even have booster seats for the littlest spectators in the kingdom. With captivating visuals and sound effects, this show is a ton of fun for everyone. 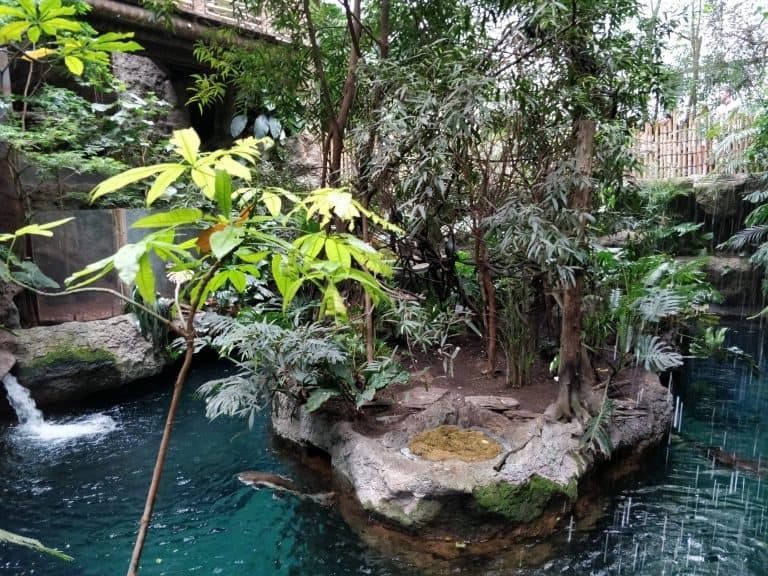 The Dallas Zoo dedicates over 100 acres to lush, spacious wildlife habitats, including the “Best Africa Exhibit in the United States” according to The Zoo Book: A Guide to America’s Best. Hop on the Wilds of Africa Adventure Safari Monorail to see five African habitats not accessible by foot. Get eye to eye with a hippo at the brand new Hippo outpost, feed a giraffe, and even catch a live animal show. Both “Wonders of the Wild” and “The Cheetah Encounter” are great for families. 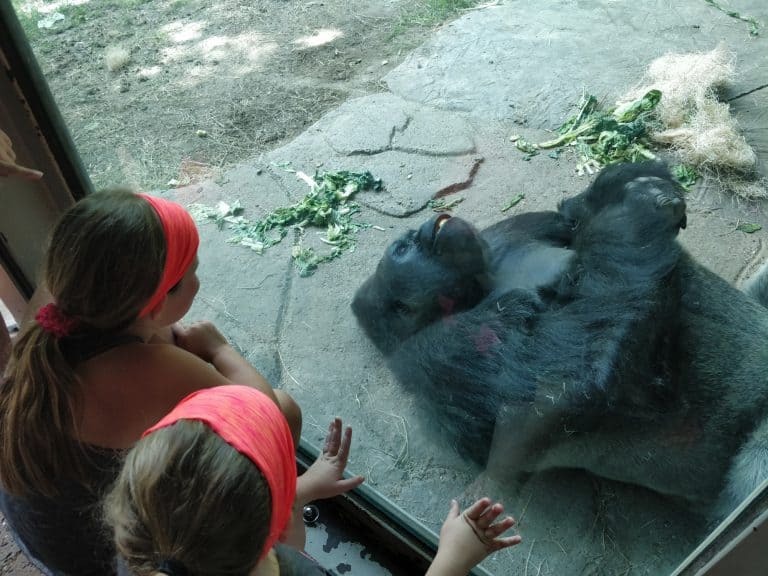 The tiniest tots can play, get wet, and feed some friendly creatures at the Children’s Zoo. Create your own virtual bird species, experience an earthquake, or race a cheetah at the Perot Museum of Nature and Science in downtown Dallas. Each of the 11 permanent exhibits, from the science of athletics to the expanding universe, integrates technology to make the exhibit interactive and accessible. When it’s time for a break, catch a movie in the theater or grab a treat at the cafe. The building itself, completed in 2012, is architecturally impressive, with amazing views from the top of the escalator. One of the essential things to do in Dallas with kids is sampling some good old-fashioned Dallas BBQ. Fortunately, one of the most revered BBQ spots in the country, Pecan Lodge BBQ, is very kid-friendly. It’s a quick stand in line and then make a mess to your heart’s content kind of place. (Go early, they run out!) The LOT serves Mexican/Southwestern munchies and pounded chicken specialties in a beer garden with a sandy play space for the kids. It’s close to the Arboretum and White Rock lake, the perfect locale for laid-back refreshments after an afternoon outside. Downtown, Campisi’s is an Italian institution, offering both pizza and pasta dishes, and seats outside overlooking the Giant Eyeball. 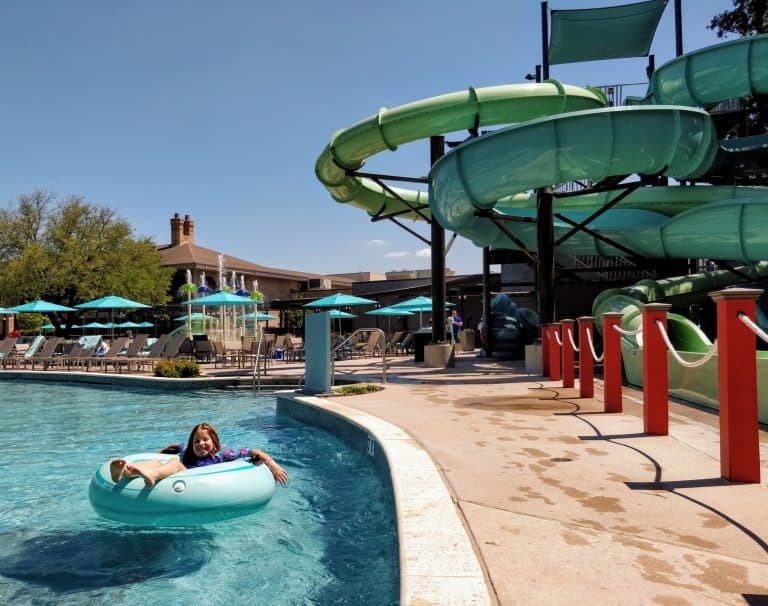 If you are looking for a fun family resort that is still close to downtown Dallas, look no further than the Hilton Anatole. 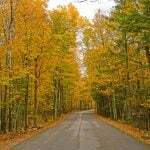 It’s a huge, self-contained property with lots of space to socialize and people-watch. There are multiple restaurants and bars, shops, a large art collection, and the Jade Waters water park. If leaving your car in the garage and walking around downtown is more your style, the Hampton Inn and Suites Downtown is perfect. 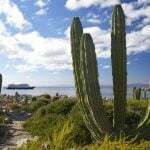 Rooms are sleek and contemporary and the location is within walking distance to many attractions on this list. 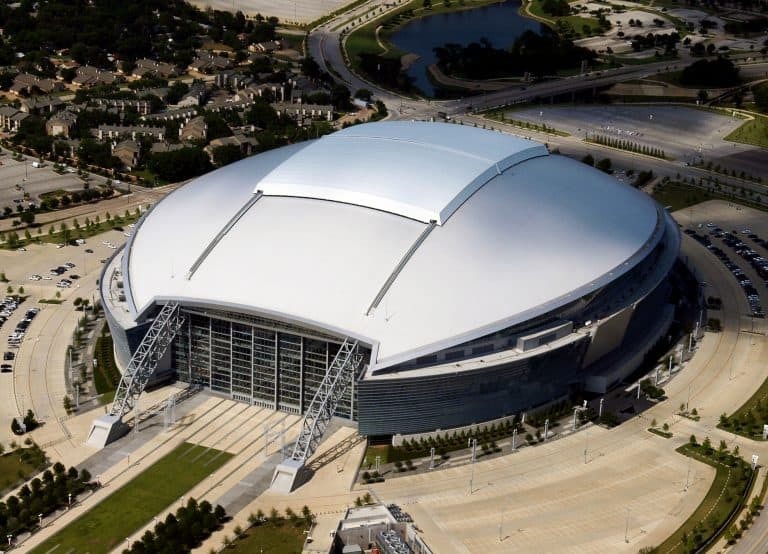 Six Flags over Texas, the Dallas Cowboys’ Stadium, and the Texas Rangers’ Park reside just 30 minutes west in Arlington, Texas. Launch an action-packed day at any one of those spots! 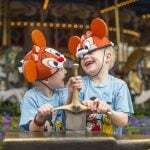 Six Flags has especially fun programming and decorations during Halloween and the Holidays, and a couple of splash-tacular water rides to keep you cool during the summer months. An hour and a half south of Dallas, sits the once-sleepy-turned-bustling little town of Waco, Texas. Bustling thanks to Chip and Joanna from HGTV’s “Fixer Upper”. 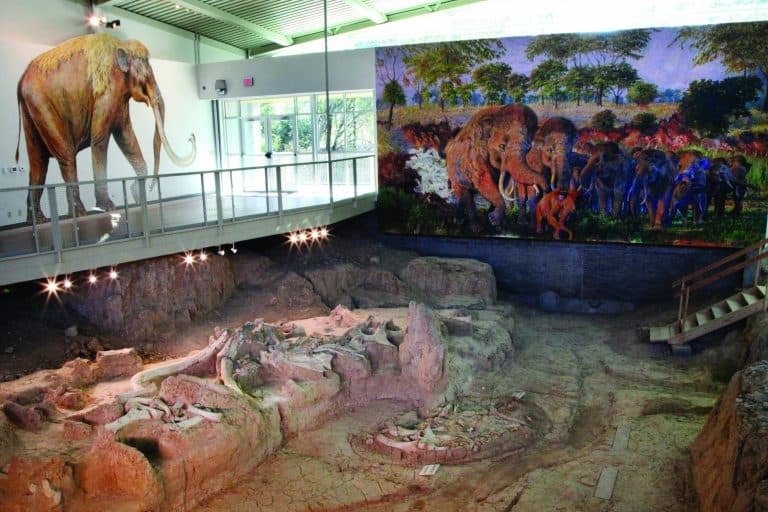 The big draw for kids and families here is the Waco Mammoth National Monument. Take a guided tour to examine the remains of a herd of mammoths exactly as they were found. Kids will be psyched to walk away with a new junior ranger badge. If you have time, tour The Texas Ranger Hall of Fame Museum or the Dr. Pepper Museum. Wrap up the day with a bite at Chip and Jo’s Magnolia Table or a stroll through their store at The Silos. Want more Texas fun? 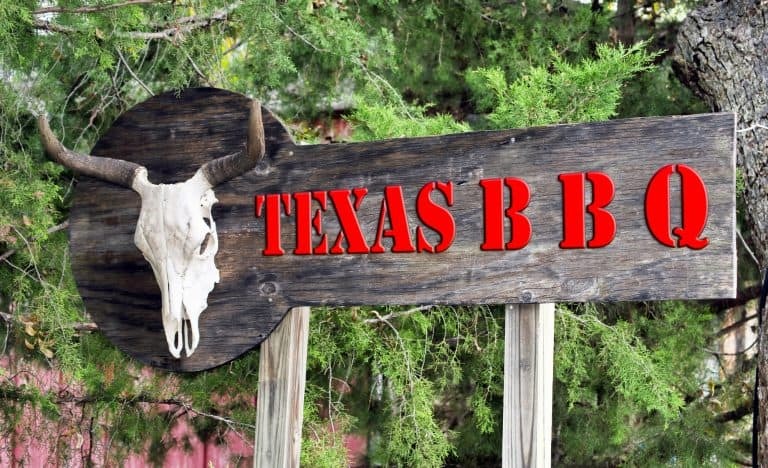 Check out the Top Ten Things to do in Texas. All photos by Tarlie Harris unless otherwise specified.